Israel's prime minister suggested that a Palestinian gave Adolf Hitler the idea to exterminate Jews in the Holocaust, drawing rebukes from historians and politicians. In a speech to Jewish leaders on Tuesday, Benjamin Netanyahu that the Mufti of Jerusalem in the World War II era — Haj Amin al-Husseini — had a "central role" in inspiring Hitler's Final Solution to make Jews extinct. "He flew to Berlin. Hitler didn’t want to exterminate the Jews at the time, he wanted to expel the Jews," Netanyahu said. According to Netanyahu, Hitler asked the mufti what he should do. "He said, 'Burn them,'" Netanyahu told the gathering. "He had no impact on Hitler. He drew his inspiration from Hitler and not vice versa"
Netanyahu — the son of a historian — previously has described the Mufti as a "leading architect" of Hitler's Final Solution, according to Haaretz. Contained within a broader speech alleging Palestinian incitement and against the bloody backdrop of recent violence against Israelis, Tuesday's remarks hit a fresh nerve. Politicians and historians were quick to condemn the comments as inaccurate or worse. The chief historian of the Yad Vashem Holocaust museum, Dina Porat, told NBC News that Netanyahu's claims were simply "not correct." “Hitler was the one who came up with the idea of the Final Solution … not the mufti," she said. Porat said Hitler had been floating the idea for years — well before his Nov. 28, 1941, meeting with Husseini in Berlin. The mufti came to the meeting to push for Middle East inclusion in Hitler's plan, Porat explained, adding that a summary of the meeting makes no mention of anything Netanyahu referenced in his remarks. “Hitler did not need him to tell him what to do with the Jews,” Porat said. "The Jews were already burning." The mufti "more than supported" Hitler's plan, according to Porat — he welcomed it and pushed for it to come to the Middle East — but did not initiate the idea. She said Netanyahu's wording was "not careful" — especially for the son of a prominent historian who grew up in a home "imbued" with Jewish history. Opposition leader Isaac Herzog said Netanyahu's words amounted to a "dangerous distortion of history" which falls "like ripe fruit" into the hands of Holocaust deniers. "It minimizes the Holocaust, the Nazis" and Hitler's role in the "terrible tragedy," Herzog wrote in a post on his official Facebook page. 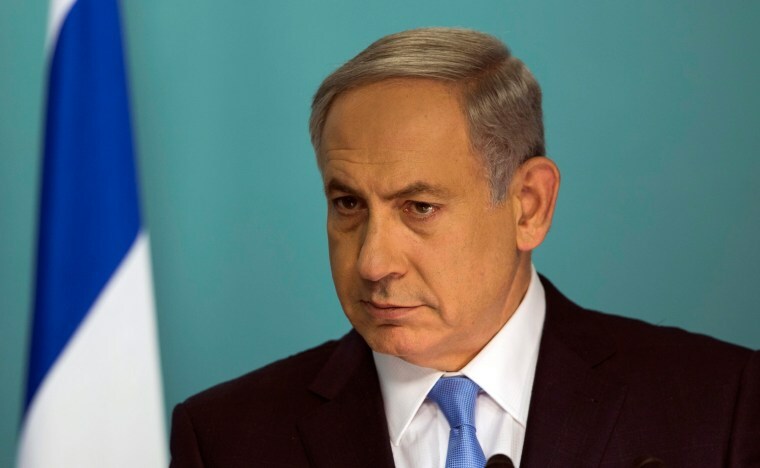 "I demand that Netanyahu correct himself." While the mufti may have been a Nazi sympathizer, "there was only one Hitler," Herzog added. Chief Palestinian negotiator Saeb Erekat slammed Netanyahu for "morally indefensible and inflammatory" remarks and accused the prime minister of exploiting a tragedy for political gain. "Netanyahu blamed the Palestinians for the Holocaust," Erekat said in a statement. "It is a sad day in history when the leader of the Israeli government hates his neighbor so much so that he is willing to absolve the most notorious war criminal in history, Adolf Hitler, of the murder of 6 million Jews." Even Netanyahu's ally and Defense Minister Moshe Yaalon questioned the remarks. "It certainly wasn't (Husseini) who invented the Final Solution," Yaalon told Israel's Army Radio, according to Reuters. "That was the evil brainchild of Hitler himself." The Israeli prime minister attempted to clarify his remarks Wednesday amid the uproar, saying he had “no intention” to absolve Hitler of responsibility.